For Mobile World Congress 2017, architectural designers worked with Watson to create something they’ve never done before. The result is The First Thinking Sculpture. It’s the first sculpture that helped pick its own materials, shapes and colors. A sculpture that’s quite literally shaped by the emotions of the moment. Creativity means always wanting to discover something new. Gaudi understood that the architecture of the past was outdated architecture – that the city, modernity and new ways of life demand something different. 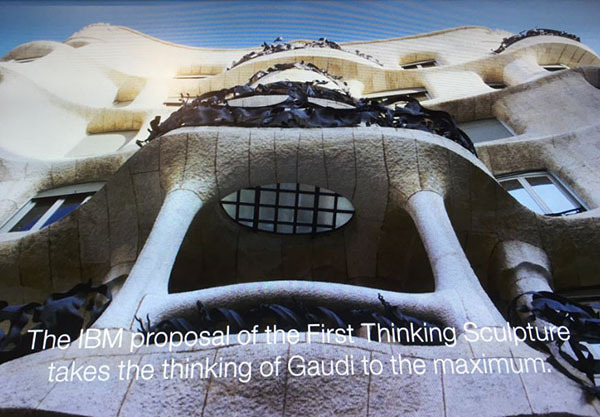 Watson is the natural extension of Gaudi’s thinking, and IBM’s proposal of The First Thinking Sculpture takes the thinking of Antoni Gaudí to the maximum, fully understanding and integrating his philosophy. By feeding Watson hundreds of images, song lyrics, and articles about Gaudi and Barcelona, we were able to choose many different unique shapes, colors and materials. For example, the triangle shape is something that appears in one of Gaudi’s first commissioned projects: Casa Vicens (1888). In his design, Gaudi paid particular attention to the corners of the building, which were ridged in order to avoid the austere appearance of classical architecture. As a result, Casa Vicens, appears as a unique oasis of calm with an Oriental and Moorish flavour. Overall, Gaudi took inspiration from nature – his use of color and shape stood out against the existing architecture of the time. There are forms like trees, turtle shells, the use of light – all of it represents the lessons of nature transported and translated into architecture. 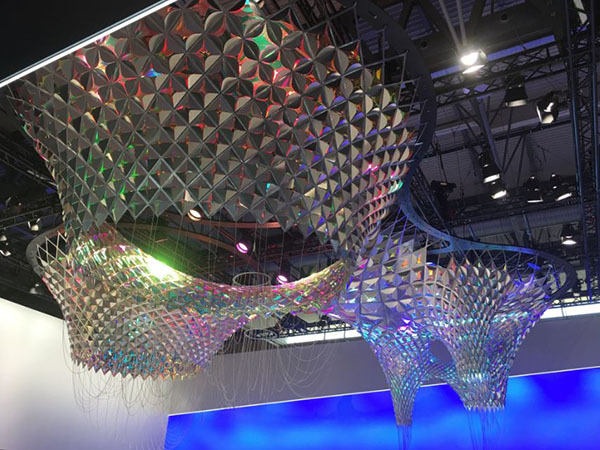 According to Michal Szivos, Cloud Architect and Designer, SOFTlab, the installation was designed in the same way Gaudi turned to natural forms and structures, incorporating how they’re made and how they’re built; essentially using natural forces like gravity to engineer a shape. In many ways, Gaudi was capturing the mood in the city. In the same way, the reactive nature of the installation is also capturing the mood, but in a way that makes it easy for people to engage with it. Gaudi’s work exists in Barcelona. The Living Sculpture installation exists on two levels – embodying the beauty and exoticism of Gaudi’s work, while infusing it with present day life, which transforms it into a living, organic, changing, thinking thing. The installation is the first sculpture to keep Gaudí’s legacy alive with data. 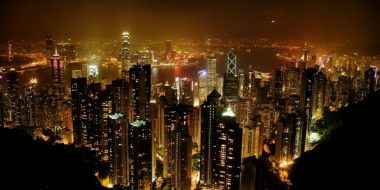 ‘The history of mankind is to step forward. Watson is a step forward. It’s a revolution.’ – Professor Daniel Giralt-Miracle, Art Historian. 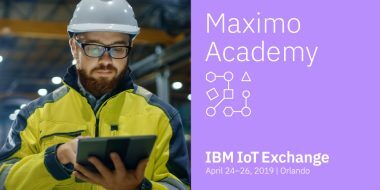 At the IBM Booth, where the installation is suspended from the ceiling, there is also a touch screen experience which lets events attendees interact with the installation, providing them with a deeper insight into how the technology works. As an interactive sculpture, the installation embodies movement, changing based on real-time data analysis and input. Using lights, rings and shapes, the sculpture interprets the sentiment of particular topics being discussed during the MWC 2017 event – topics such as Artificial Intelligence (AI), Internet of Things (IoT), and Security. 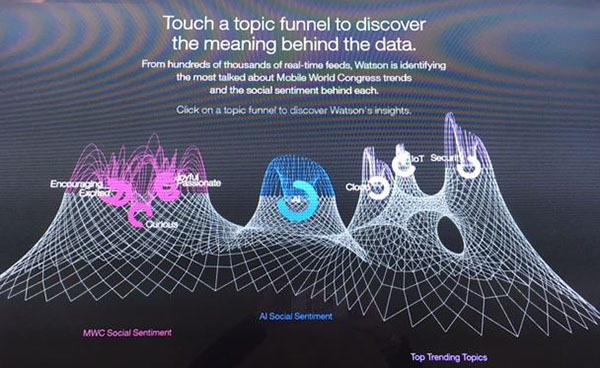 In real time, Watson analyses Twitter hashtags and feeds using the Tone Analyzer API. 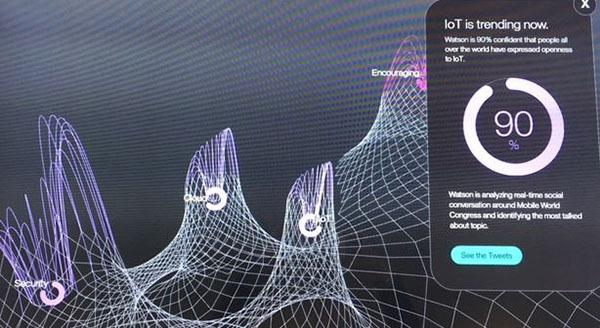 The rings of the sculpture represent three topics of conversation around AI, IoT and Security. 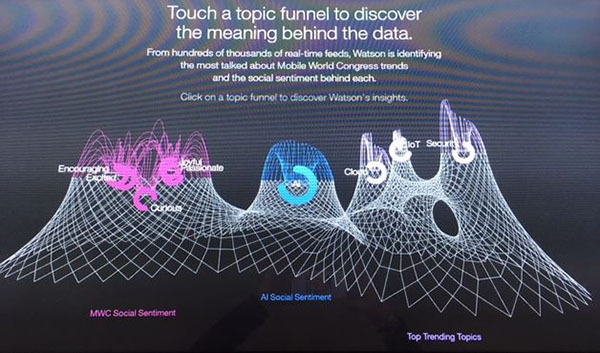 Watson is analyzing the levels of optimism and openness around these topics in real-time, feeding that information to the sculpture. Depending on the level of optimism and openness associated with the conversations, the rings move up or down. If a ring is up, that means the prevailing sentiment is negative; if a ring is down, it indicates the level of openness is high. We’ll be on site at the Mobile World Congress this week and sharing our findings on the blog. You can bookmark our Mobile World Congress 2017 landing page or visit the MWC2017 website to find out more about the event. 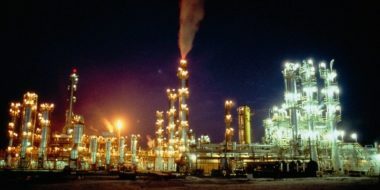 Learn more about our cognitive solutions by visiting the IoT website, or speak to a representative to find out how we can help you take the next step in bringing the IoT to your business.